Speaking on-stage at Eve Fanfest, CCP CEO Hilmar Veigar Pétursson revealed that the in-game economy for the spacefaring MMO is worth a whopping $55 million in real cash. I bet the other titles in our list of best space games can’t boast the same. In his on-stage chat, Pétursson began talking about Edvald Gislison, AKA ‘Quant’ – the company’s in-house data scientist – and how he worked out the value of a massive, one-off in-game space station called the Palatine Keepstar. “He kind of worked it out for us – which I didn’t know before – that the Keepstar, the Palatine Keepstar, is 1/15th of the entire current Eve economy,” said Pétursson. 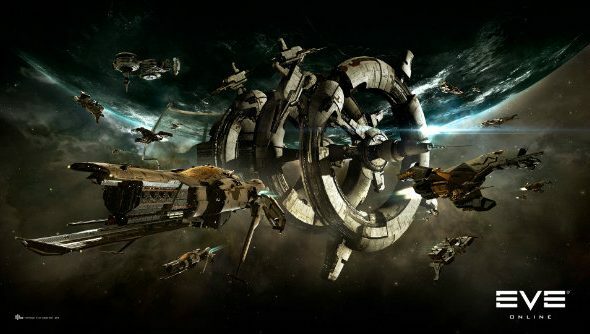 More superstructures are coming to Eve when players get access to the Citadels expansion, so that number looks likely to grow even more over the coming years.